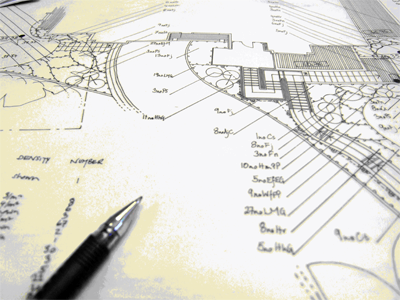 Land Products offers a full design consultation process including site visits where necessary and preparation of detailed landscape drawings to satisfy local authority planners. Projects large and small are designed by our experienced design team who can liaise with both with clients, their agents or other specialist consultants and the local planning authority to develop a scheme meeting all parties' needs. Five year maintenance plans and full planting specifications and schedules of works are also provided. We are happy to take on design only or design and build work.